In the winter, when the air is dry and cold, tickling, tingling and other unpleasant sensations in the throat are not uncommon. To remove dryness, irritation and reduce pain using proven folk remedies. Especially popular in this case a lemon. 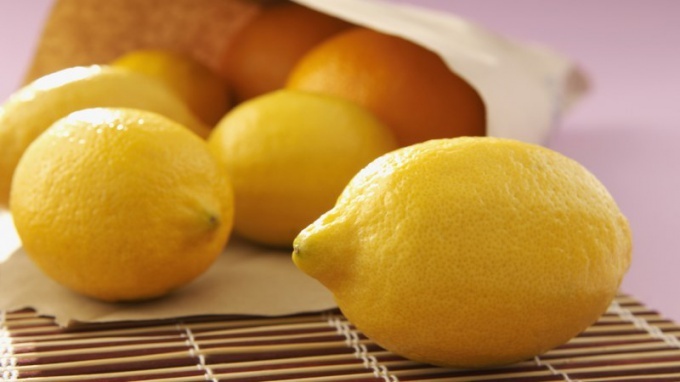 The fruit of the lemon has a unique composition: here there are vitamins PP, b, E, C; fluorine, sulfur, zinc, magnesium, calcium, boron, phosphorus, and other active components. In addition, these fruits contain a significant amount of pectin substances, essential oils, bioflavonoids and organic acids. Thus, the organic acid has antimicrobial and anti-inflammatory properties, which is why lemons effectively cope with various infectious diseases, including diseases of the throat. When severe pain in the throat, accompanied by a rise in body temperature, it is recommended to take the lemon of medium size, well scald it with boiling water, cut into thin slices and pritrusit sugar. This fruit should be eaten at a time: after half an hour the temperature subsides a bit, and the sore throat will disappear. But when starting the sore throat need to take large fruit, pour over it boiling water and cut into two equal parts. One half should be chewed together with the skin (because not everyone can eat a sour lemon, it can lightly sweeten it with sugar or honey). Within an hour after this treatment I do not eat. The next half need to eat after 2 hours. Effective recipe: lemon will help to quickly recover. In addition, to cure sore throat with lemon and it is possible as follows: take 2-3 slices of lemon, gently peel from the skin and in turn keep them in the mouth (these slices to dissolve and swallow the lemon juice). This curative procedure is recommended to be repeated every three hours: you often do not necessary, because lemon juice is not the best way affects the tooth enamel. - 2 tbsp of natural honey. Water boiled and cooled to a comfortable temperature. Further, this add honey and lemon juice. This drug is recommended to treat the damaged areas of the oral cavity. - juice of a medium lemon. Lemon juice mixed with cooled to room temperature boiled water. This solution need to gargle 4-5 times a day.